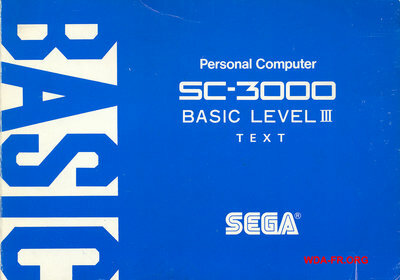 SC-3000 Survivors always search lost stuff related to the SEGA SC-3000 home computer. Old peripherals, rare units or lost and forgotten software for the SEGA SC-3000. You can help us by providing us information, donating hardware or simply by sharing pictures. See the contributor section. The case is open: It was seen on many magazines and fliers, but somebody could have it. This is supposed to be the SEGA Colour Monitor Video. We don't know anything about that. Just really a few things. 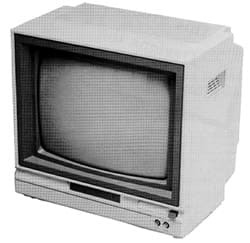 We noticed also, that this model is very similar to Commodore 1702 Colour monitor. Who was the manufacturer? Where and when was it sold? There are many unanswered questions on it. This video monitor should have a video composite input for PAL or NTSC signal, and a mono channel audio input. Of course any kind of monitor that has these inputs works with the SC-3000 but we want to understand if SEGA released an official monitor. Help us in finding answers. If you are so lucky to have it, send us some pictures. If you just know something about it, write us. We will publish your information and we will work to include in this site the stuff you can provide! Or if you are so generous, you can donate one unit, better alive than dead of course. 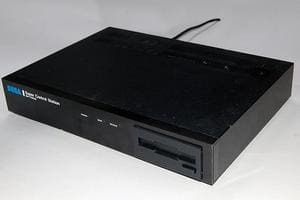 This incredible and powerful unit was designed and manufactured by SEGA, specifically for the SEGA SC-3000 computer.This unit expands the SC-3000 with a RS232C communication port, a Centronics parallel printer port and a floppy disk drive. Its incredibly simple but futuristic and dark design inspired a lot of modern consoles. During the years we were able to find a lot of material about it, manuals, software and also schematics. We would like to develop more stuff for it, do tests, do reverse engineering, and who knows maybe develop new firmware to support modern technology. In the past, we rebuilt the user manual, documentation and wrote several demos for it. There is so much work still to do with it, things that could have made the difference if only somebody told us. So help us in finding a good unit for our research, Or if you are so generous, you can donate one unit, alive or dead of course. This is almost a legendary unit. Probably nobody knows it, but it exists, probable in a few number of units. 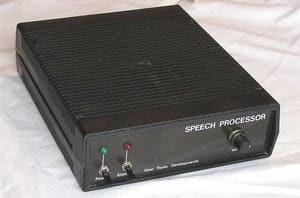 This unit adds a robot-like voice to you SEGA SC-3000, actually, it could work with any computer that has a parallel port interface. We know that it was designed by a company in New Zealand. We were able to find a lot of documents, but the unit seems to be lost. We would like to develop some stuff for it, do tests, do reverse engineering. 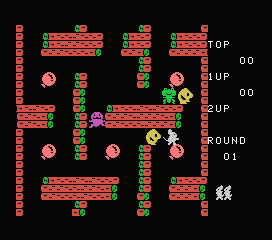 It would be nice to hear that "War Games" movie like voice. 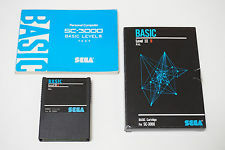 We are interested in including in our docs section the scans of this manual. It seems that it's very difficult to find it. If you have one, you can contribute to preserving it by doing scans and send them to us. Or, you can contact us if you want to donate/sell it to us. We'll be glad to host it in our collection.